If you have a low maintenance gravel area in the garden then it makes sense to consider installing or thinking about designing a small pebble fountain/water feature as this will blend in with the existing structure well and will require minimal work to install. The key point though is to consider carefully the design. It is important to think about the size of the feature, type and style of the pebbles and boulders used. It must be in keeping to blend in with the existing landscape and hard. Bringing in some larger elements will certainly create more of a garden feature and give focus to the design. Think about incorporating a drilled boulder about the size of a football with a fountain coming up through this surrounding by some smaller cobbles. This will give some definition to the design. You can even have a much bigger cobble, perhaps one that takes two people to move to give a real centerpiece. Planting is also important to consider. A lot of the time gravel is a very cheap medium to cover a lot of ground easily, but on their own you can end up with a large bland area. Breaking this up with well chosen plants can make a big difference. Look for different textures and bold plants that give structure. New Zealand Flax is a great plant, giving year round interest. Acers are another classic gravel garden plant, although remember these are deciduous and will drop their leaves. Try to find plants that will require low maintenance, as this will complement the rest of the garden, giving you minimal work. 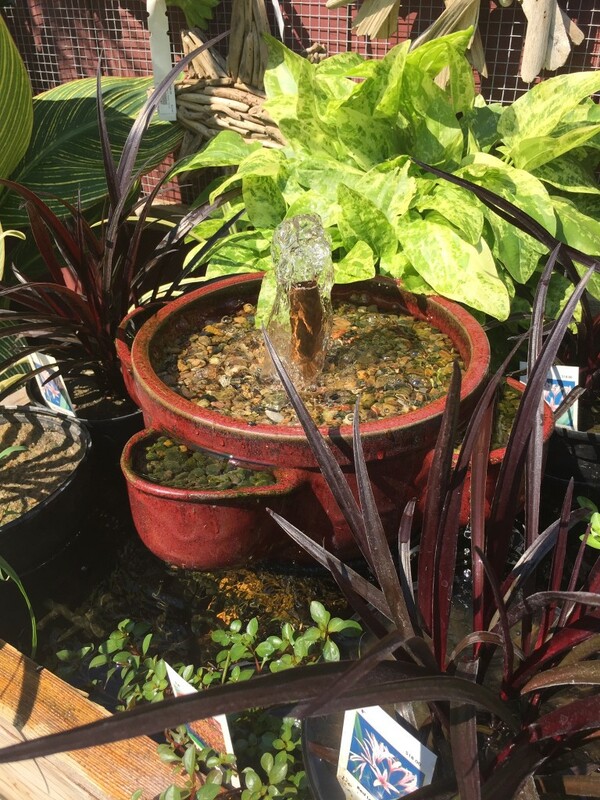 A Pebble fountain water feature is a good choice if you have young children and pets. Kids love playing with the pebbles and water, whilst you are safe in the knowledge that as there is no open water the children are perfectly safe. The feature can take up as much space as you want. Anything from about the size of a five gallon bucket upwards is possible. Although much bigger features, perhaps incorporating streams and waterfalls are possible. A nice design is to use drilled pavers, which have a permeable structure allowing the water to flow back through them into the reservoir underneath. These smaller designs are ideal for yards and small intimate corners of larger gardens where space is limited. One thing to remember when installing areas of gravel is to ensure that you incorporate a weed membrane underneath. Not only will this stops unsightly weeds from eventually coming through but will also form a barrier between the gravel and soil underneath, keeping the gravel clean. 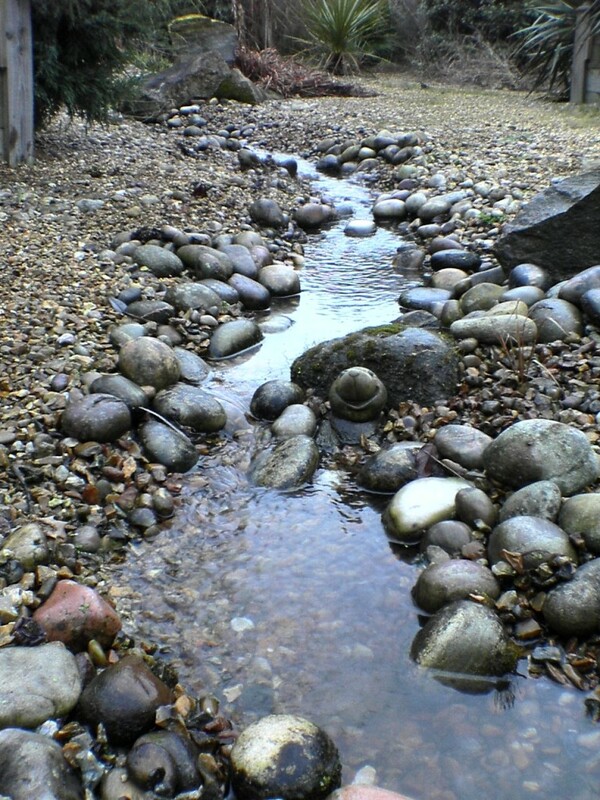 Some movement of the gravel can be expected, but the barrier will stop any mixing with the soil. One problem with a pebble fountains and water features is evaporation. Just because the reservoir is hidden from sight below the ground do not forget that water will still be lost and need to be replaced. Using a large enough reservoir will reduce the amount of topping-up required. With the smaller sized pebble pools also bear in mind that they could well freeze in winter, which will damage the pump. Once we get into winter it is safest to turn off the pump and store it in the reservoir so that it will not be damaged should the pool freeze. Maintenance is relatively minimal with this style of pool, although you will get some silt build-up eventually and make a point of opening up the pool and removing the build-up of silt every couple of years. It is amazing how much air pollution is filtered out by a waterfall or fountain, but remember all this has to go somewhere and inevitably this will be into the reservoir. Particularly in inner city gardens incorporating moving water can greatly improve air quality and also mask background noise fantastically well. With small features it is possible to incorporate some more expensive materials, such as polished pebbles and gem stones, all of which give great effects and bring some bling to the pool. A pebble pool is a great way of incorporating water in even the smallest garden and with it being child safe is ideal for young families, giving the benefits of movement and freshness to the garden.